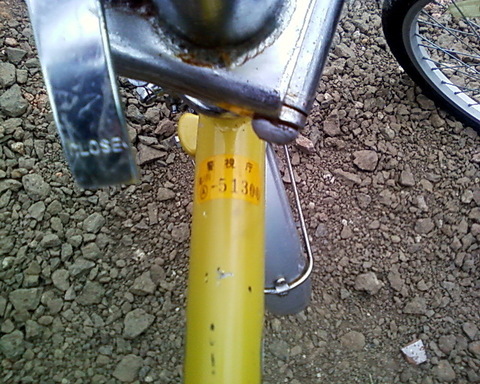 Where do stolen Japanese bikes go? ???????????????? One of two bicycle stores in town selling only stolen bikes from Japan that we visited this week (we’re looking for a Japanese-style child seat). This shop is the bigger one and has perhaps 50 bikes in stock. They park the merch on the dirt in front of the shop (a townhouse across from Big C Mahasarakham) during the day. 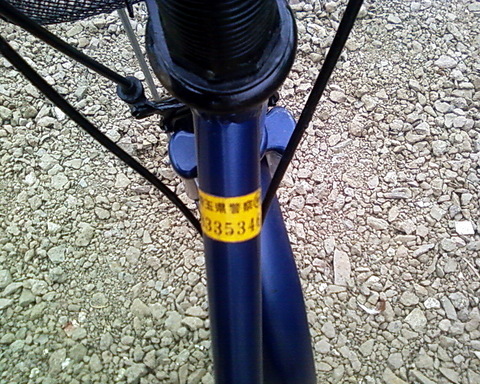 Anybody in Japan want to call Mr. Makino and tell him where his mountain bike is? He can have it back for 3,500 Baht plus shipping. I should get an award from the police or something for doing their jobs. It’s been a long trip from Yamazaki. 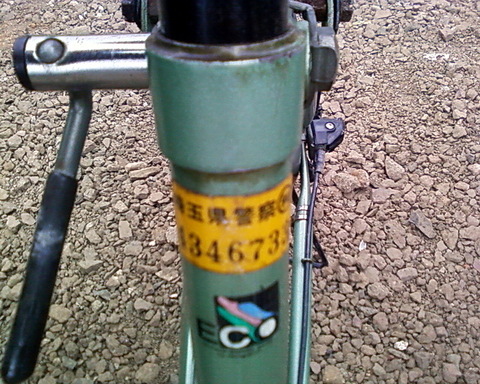 From what I could see, the majority of bicycles were from Saitama, Aichi, and Osaka, but seeing the registration stickers (sorry – officially they’re known as “Anti-theft Registration Decals”; LOLZR) is a bit like reading all the passing license plates when on a road trip in Nippon – a smattering of place names that either bring back memories or inspire further wanderings. 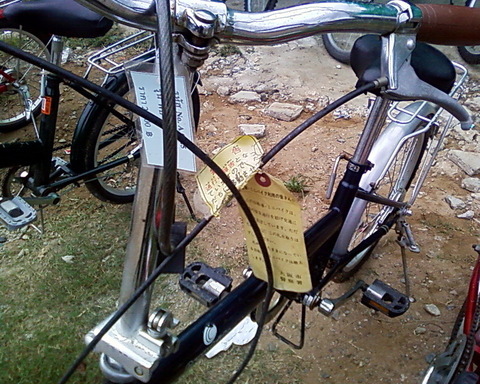 I saved the best for last; this bike has an intact warning issued by the bicycle parking enforcers that this bike is parked illegally and will be taken away… It doesn’t specifically say that Osaka city workers will load it on a flatbed and that it will eventually end up for sale (2,500 Baht) in Northeast Thailand, but hey – times are tough all over and at least someone got something out of it. This is by no means a new trend overall, but it’s interesting that there’s such a number of these stolen bikes here now for there to be ample supply even hundreds (thousands?) of miles away from their port of entry. It’s also the same for motorcycles here. Sometimes you come across these shops where they sell big rice burners that all start with a screwdriver because their ignitions have been pulled. I apologize for my photos being so blurry. I was holding squirming baby and trying to take photos discreetly. I actually really want to find out where these bikes are sourced from, but somewhere down the supply chain the answer is “bad people,” so I’ll perhaps go ask sometime with a savvy Thai pal. Every time I visited Japan I used to wonder how many bikes got stolen daily from the massive “parking areas” (hunting grounds) in front of RR stations, schools, shopping malls, etc. 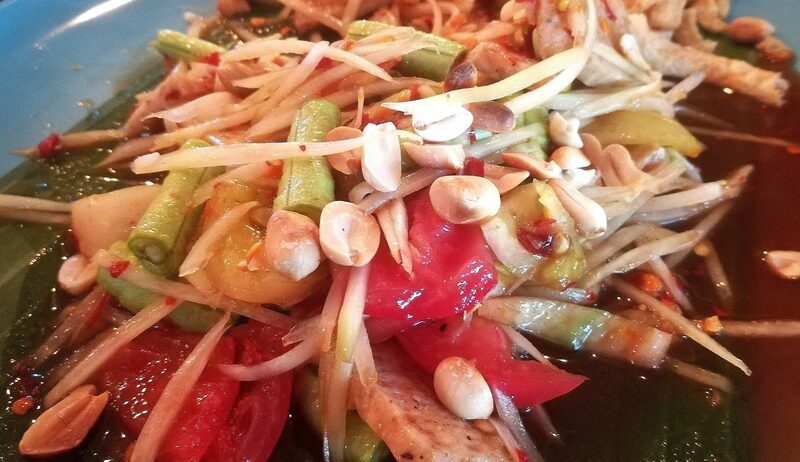 It never occurred to me that they’d end up in your neck of the rice paddies! Your site is getting more traffic because of sites like Myspace and other social sites. Thanks for the awesome article I’ll be back for updates. Just for your information. 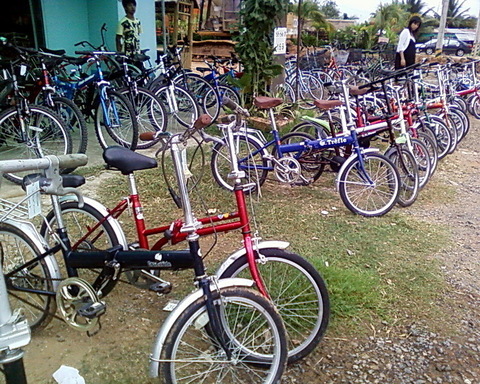 Normally, these are used bicycle which were donated from japan. 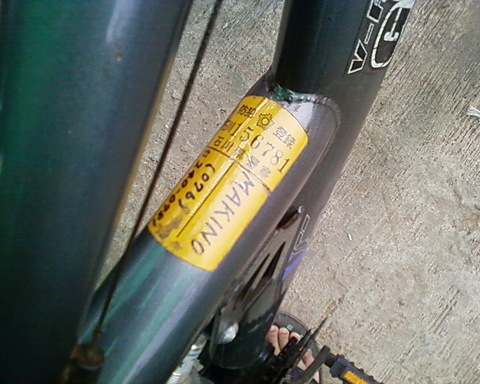 Having a registration sticker doesn’t mean it got stolen anyway. 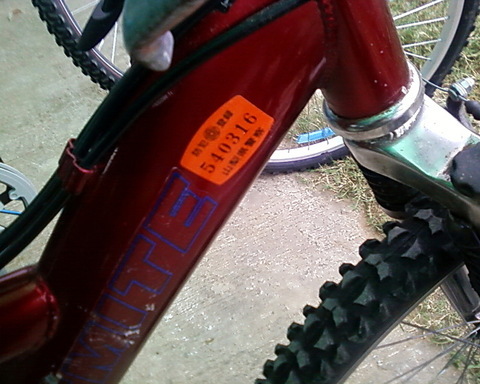 I’ve only called a few numbers in Japan that I’ve found on bikes for sale here, but they all claimed that the bicycles were stolen (from their homes) and specifically not impounded by police. Perhaps your definition of “donated” could be clarified a bit — I assume you are talking about bicycles impounded by police that are unclaimed by individuals and eventually sold at auction to overseas exporters like the one for which you left a link?